Para Español, Haz Click Aquí. 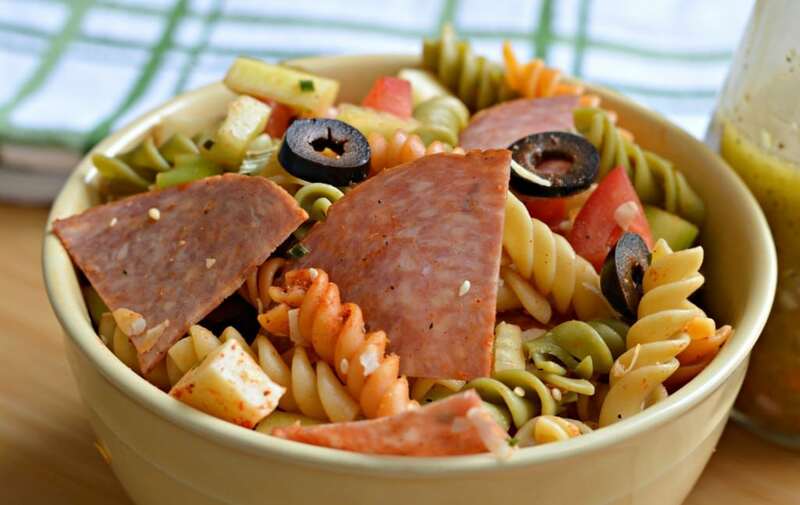 Today I am going to share with you another delicious salad that you won’t be able to resist. It is fresh, healthy, and fool of flavors and color! Spring is almost here and with it comes the sun and delicious salads. Salads are definitely one of my favorite foods, because besides being quick and easy, they provide some great nutrients that are easy to miss out on when we are running around doing our daily routine. 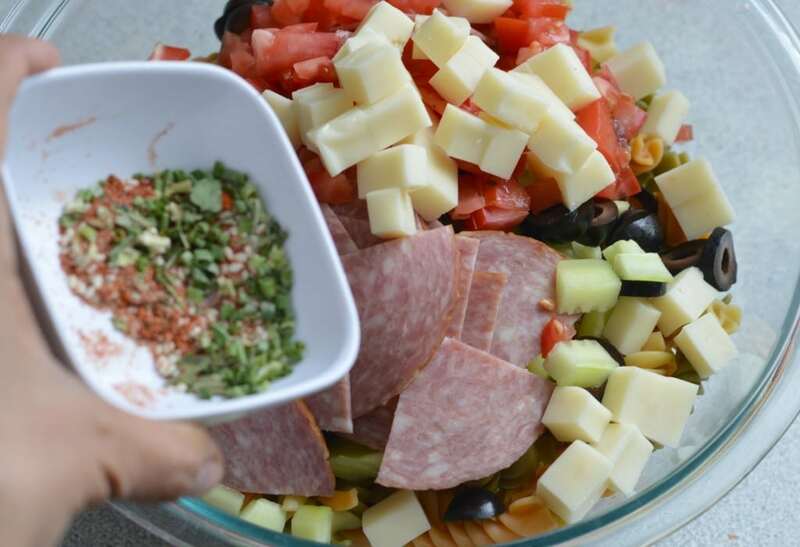 This salad isn’t only colorful, which your kids will like, but it also comes with a great, homemade dressing to give it a distinct freshness that I know you will love. 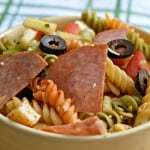 Celery and cucumber give it a perfect crunch and the salami and fresh parmigiana gives it a saltiness that goes perfectly with all of the other flavors. 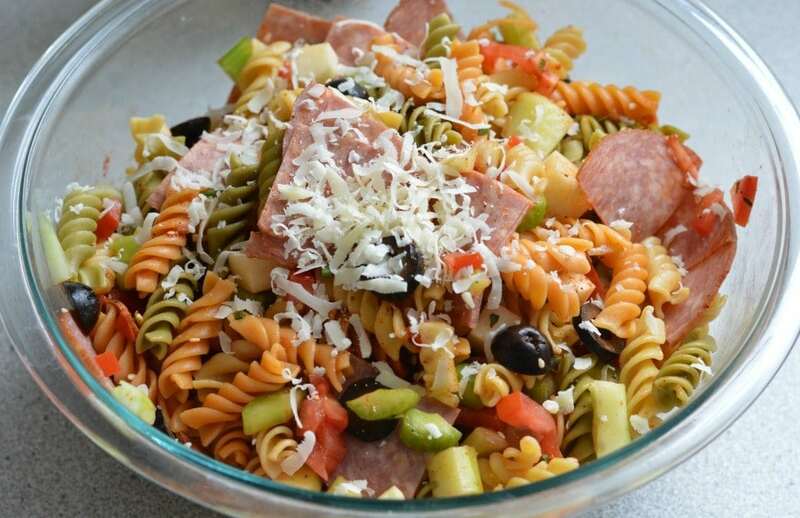 I love making this salad, because not only can you refrigerate it and keep it cool for a few days, but it is also perfect to take to work for a healthy lunch. In fact, you can make it in the evening and have it ready for the next day. When I was a little girl, my mom almost always included a fresh salad consisting of cucumber and lettuce, dressed with lime juice, salt, and chili powder. 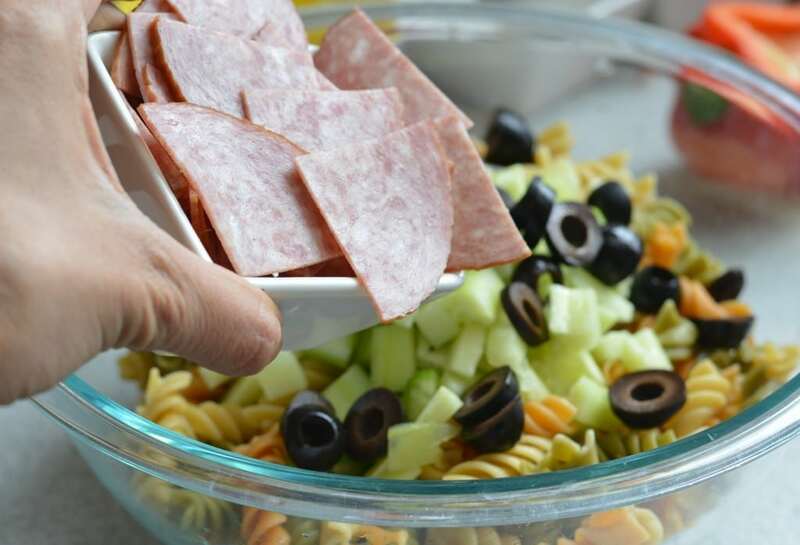 It was definitely one of my favorites growing up, and now that I am a mom, I love making different types of salads for my little boys. 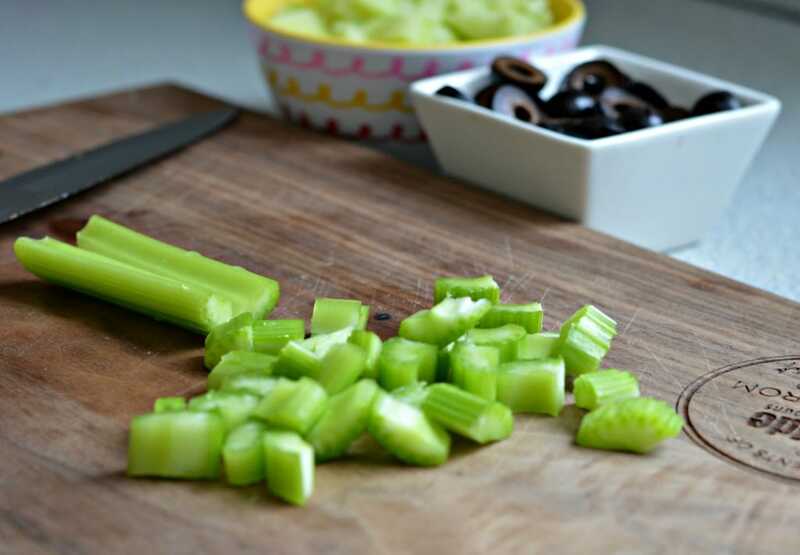 It is a great way to incorporate vegetables that they wouldn’t otherwise eat into their diets. Cook the pasta according to package instruction. Once cooked, rinse with cool water. 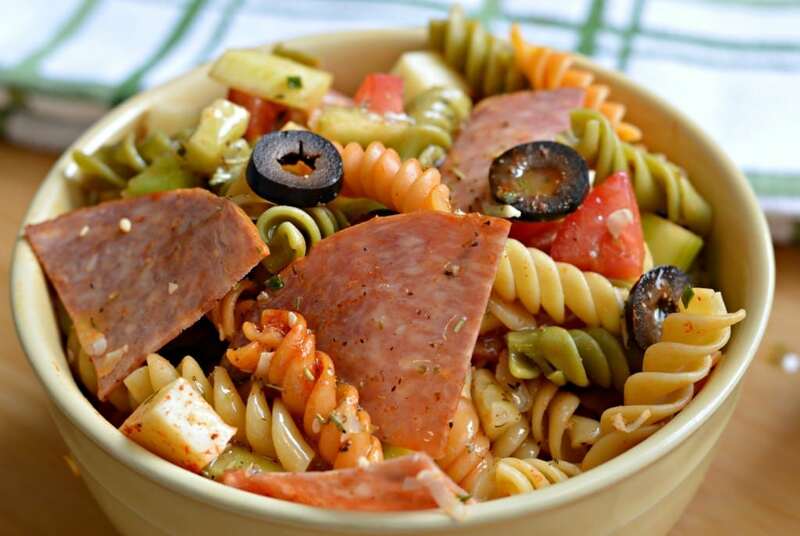 Combine all of the pasta salad ingredients in a large bowl, and mix well. To make the dressing, add all of the ingredients to a salad dressing shaker and mix well (you can also just stir in a small bowl). Refrigerate. Add half of the dressing and refrigerate for at least one hour. Once cool,serve with the remaining dressing.